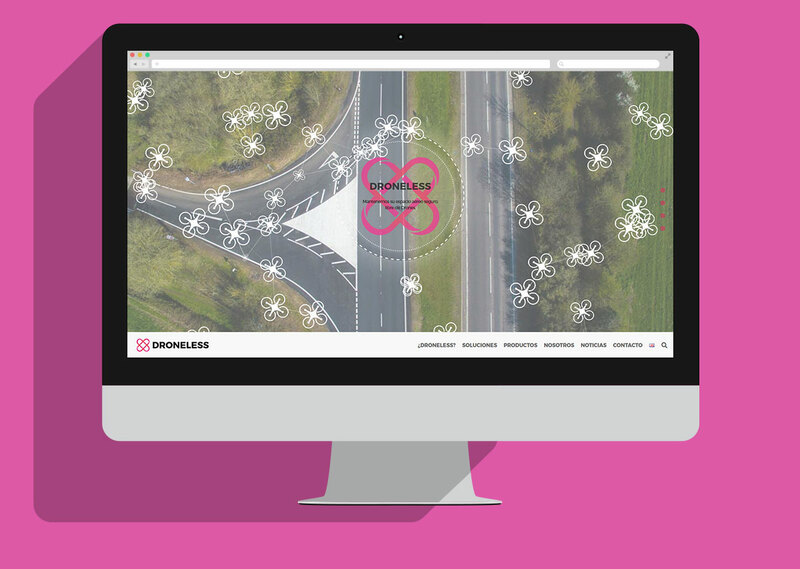 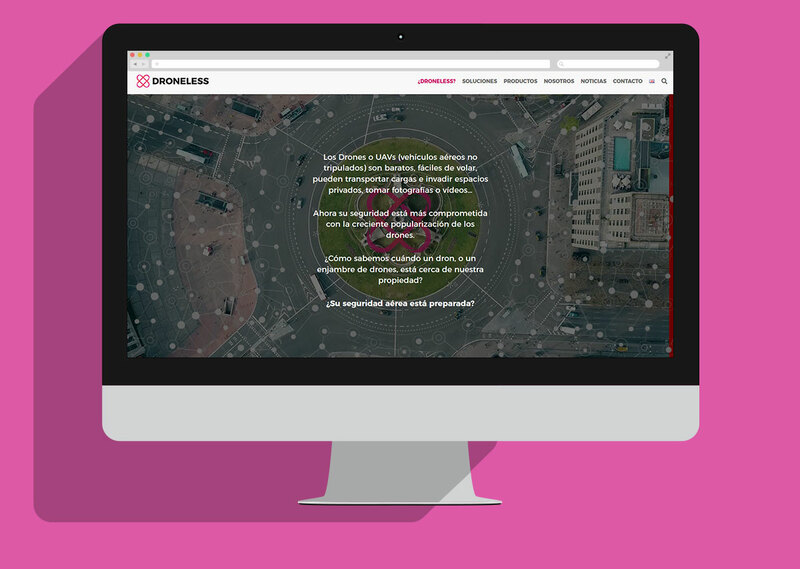 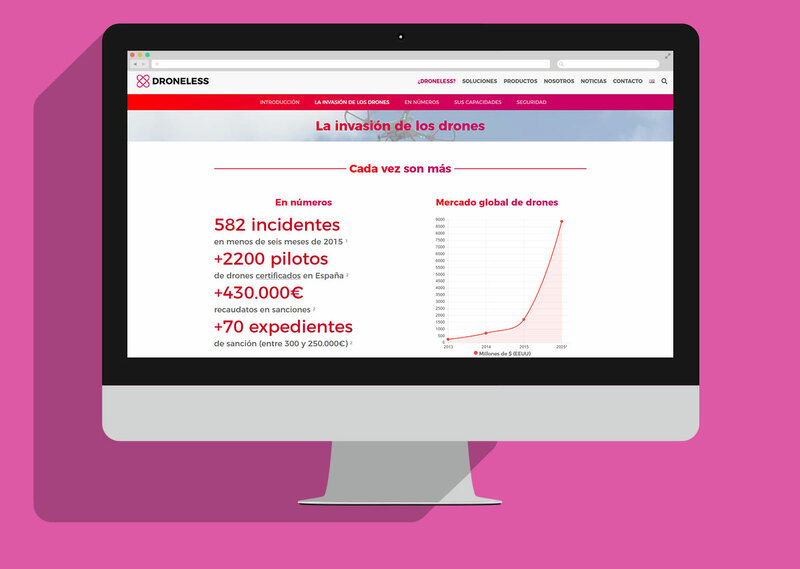 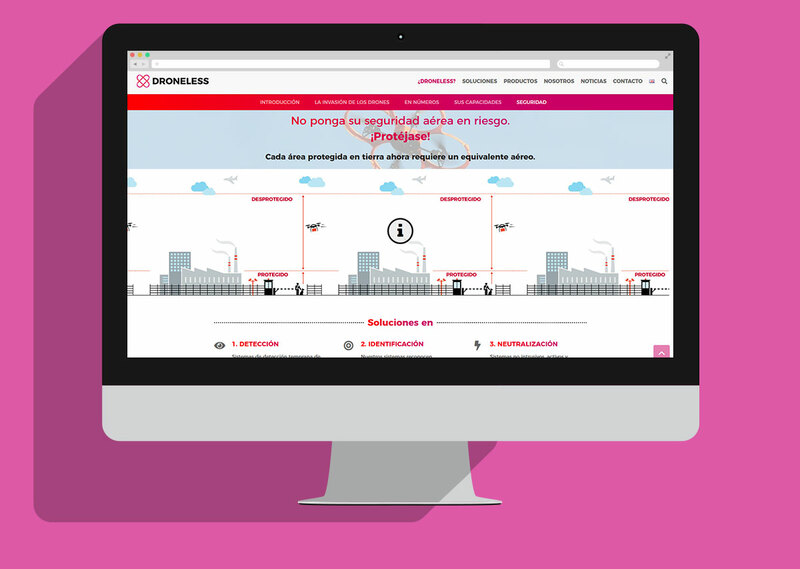 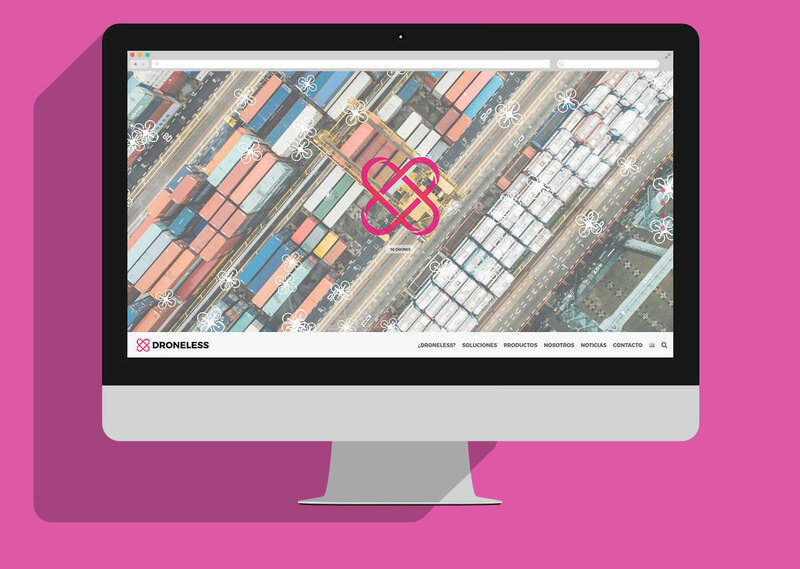 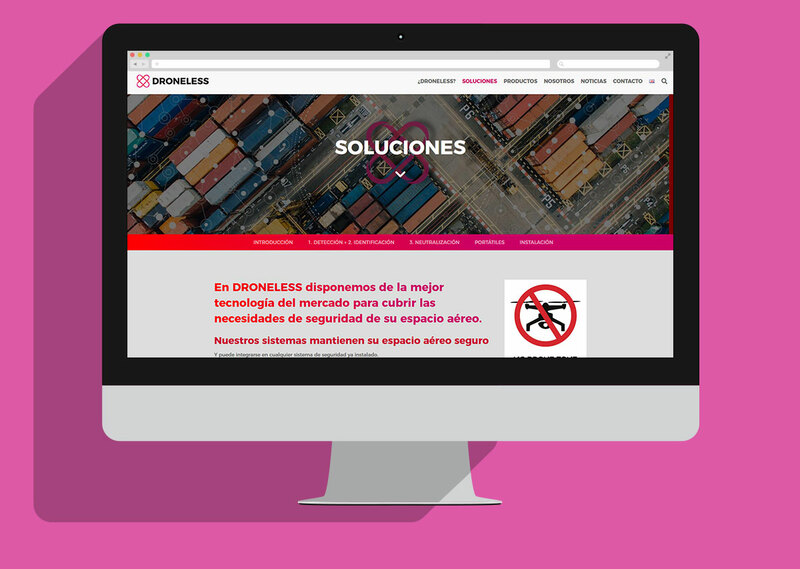 DRONELESS offers Drones (UAV/RPA) Detection, Protection and Neutralization systems for institutions, companies and individuals. 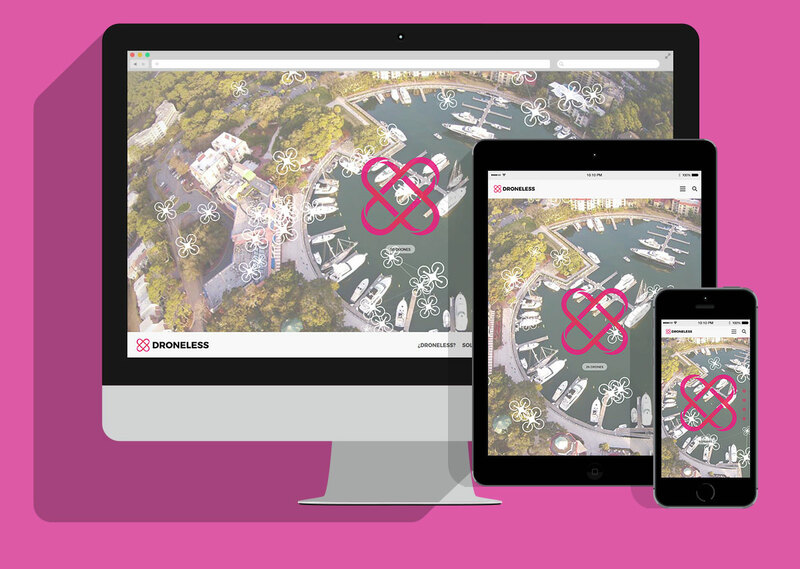 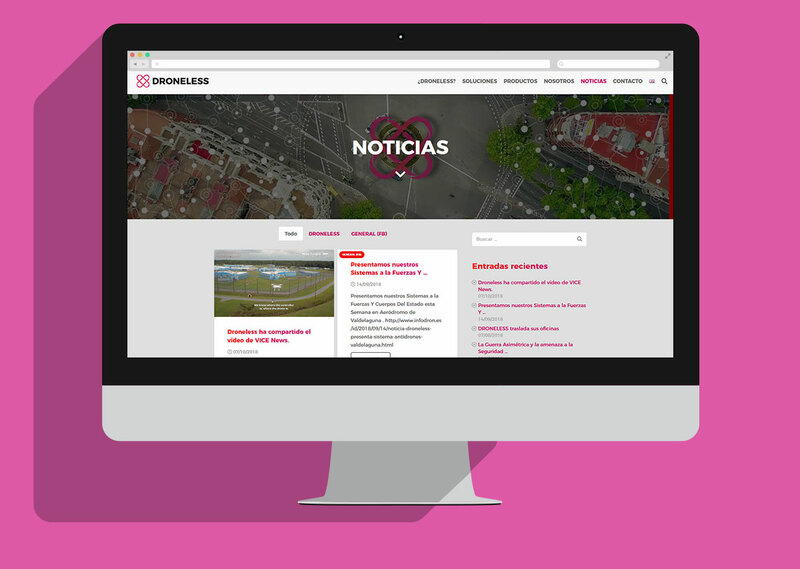 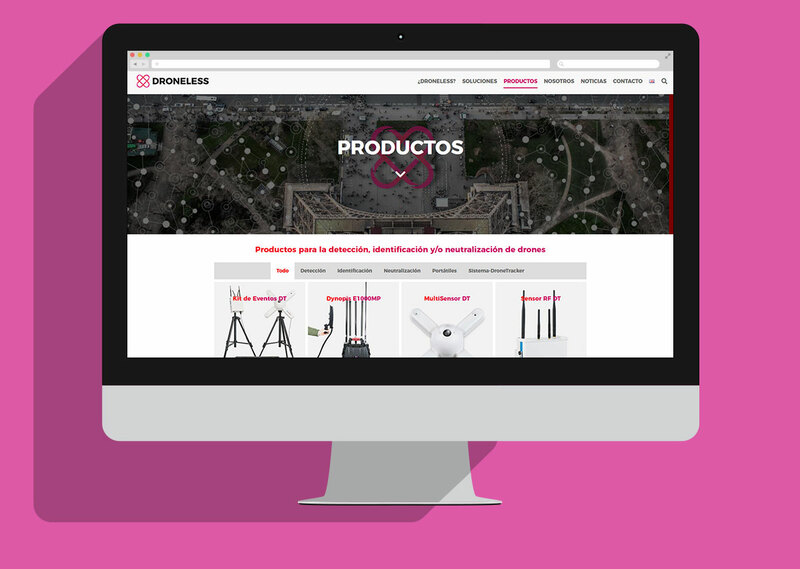 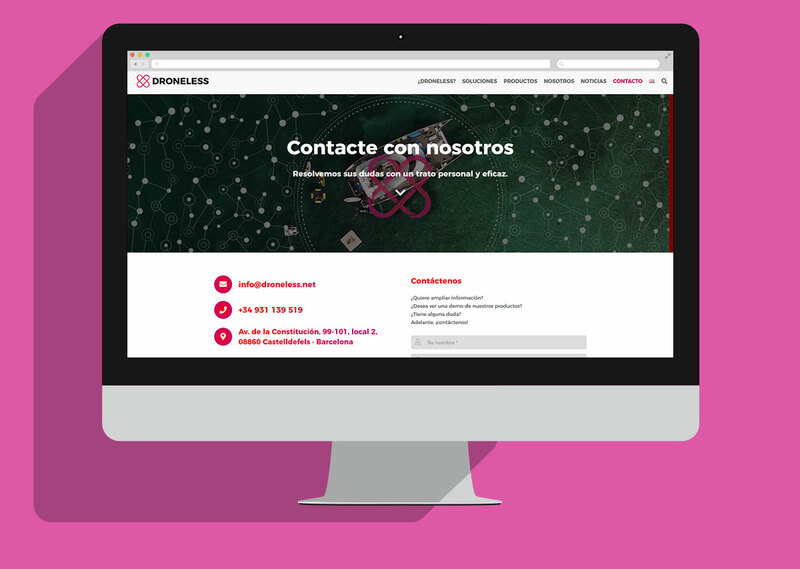 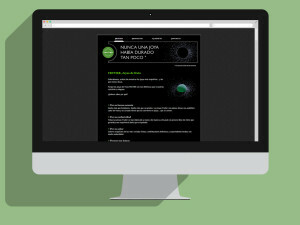 We make their website with a content manager in two languages (ES/EN). 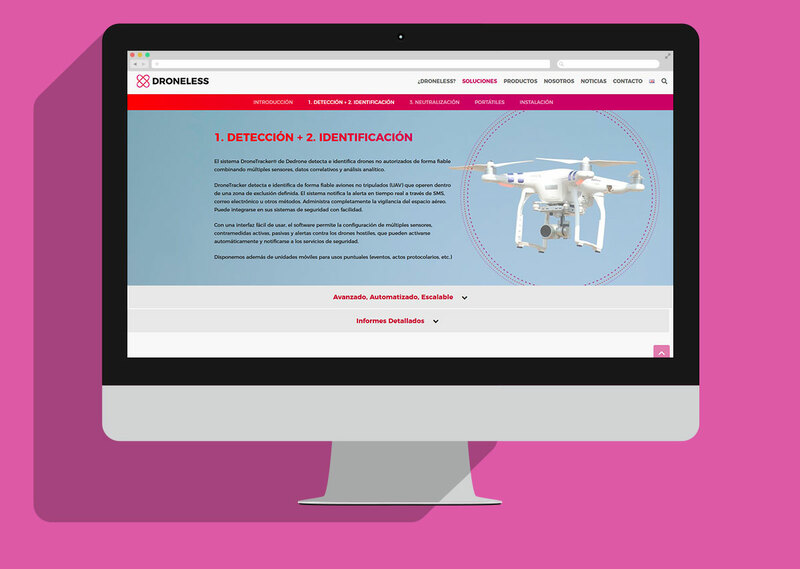 On the homepage it includes entertainment, making the drones disappear with clicks over animated images background made with drones. 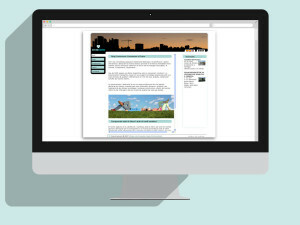 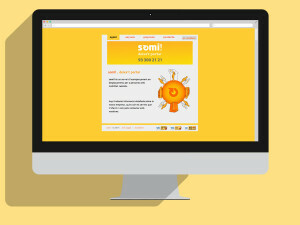 The web is full of interactions and soft animations to transmit dynamism. 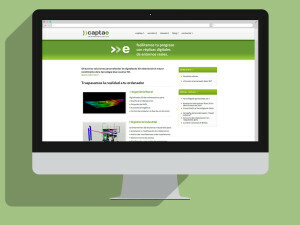 Adaptive web (responsible) and accessible with content manager in two languages (ES/EN).